With a significant rise in the number of single elderly in society, it stands to reason that if old people are encouraged to get connected to the internet and use social networks they will feel less isolated and this will have a positive outcome for esteem and overall mental well being. They will gain more self respect, keep up to date with the fast paced world we are living in but most importantly the incidence of geriatric disease will be reduced. The most significant change in human health in the next decade may not come out of medicine but the likes of Twitter and Facebook. A recent increase in the over 55’s using social networks is the most rapidly growing sector of usage. A question to ponder after the previous points, perhaps it should be compulsory for the older generation to have a home computer to keep the grey matter firing and to delay mental deterioration. Have you ever stopped to consider that every post you make on Twitter will be logged forever? Your tweets will tell of your interests, points of view, character traits, locations, intelligence and pretty much any topic you can fit into 140 characters. We all leave a digital mark behind us, a bread crumb trail of where we’ve been and what we saw. At no point, ever, in the history of mankind has such a vast stream of consciousness ever been recorded. Never before has so much information been available to really understand how humans tick. A website like Twitter has well over 100 million users. On an average day, posts are in excess of 50 million. That’s about 600 tweets per second. With so much data there is an absolute abundance of material to study and this vast source of data will help social scientists better understand human behaviour in the 21st Century. For example why certain youtube videos can go viral and be viewed by 10’s of millions of people in a short space of time or how an unknown music artist can be top of the charts almost instantly. As with pretty much any scientific research, once you have studied enough data, patterns will start to emerge, trends begin to form and reasoning can be applied. If we hold the magnifying glass close enough to Twitter we can definitely begin to understand and even predict YOUR (the user’s) online behaviour. Major global events can clearly be seen if you take a graph of related Twitter comments against a timeline of the event. With an event like the World Cup the peaks and falls of activity are very noticeable depending which country is playing who and the importance of that match. When Spain won the world cup, Twitter had to deal with an incredible surge of activity. The most noticeable, recent experiment along these lines was carried out by Alan Mislove, a computer scientist from North Eastern University in Boston. He analysed the mood of the United States of America. By analysing all public tweets posted between Sept 2006 and August 2009, Alan and his team filtered the data using a word rating system. The system assigns high scores to the use of positive words and lower scores to more negative words. The experiment was able to determine the whole mood across the US taking into account location and time of day. 300 million tweets were rated and from the results a mood map was created. It is an incredible feat to be able to see a whole nation’s mood vary in real time and this is just the beginning, with ever more detailed studies our online behaviour will be able to be finely worked out. As the vast majority of people out there, we all believe ourselves to be unique and as forward thinking as the next person. But actually how unique is that, if at all? It may or may not surprise you to hear that in fact we are all not that different when it comes to our online behaviour. We are all creatures of habit and like our other animal neighbours on this planet, we abide by uncontrollable forces in and around our planet such as night and day, different seasons and even the orbit of the moon. Now to compare Twitter users, but instead of tracking which websites they visit and what they’re interested in, we focus on a similar notion. A number of recent experiments have tracked peoples’ movements carrying out their day to day activities by using their triangulated phone signal. From this information a movement map can be created and the movements of a certain individual are recorded. Over a period of time as with most data analysis, as mentioned earlier, patterns and trends will begin to form. The vast amount of data that can be extrapolated from a website of the proportions of say Twitter is immense! If the above experiment on individual’s daily movements is anything to go by relating to human behaviour then the accuracy prediction of data from Twitter will be incredibly precise. 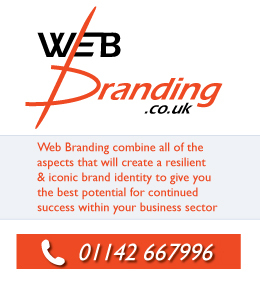 Google have recently acquired a San Francisco based semantic search company called ‘Metaweb’. Metaweb happen to own ‘Freebase’ who happen to have more than 12 million web ‘entities’ or tags, which come in handy when sorting through web based material. Freebase has a very humanistic approach to tagging online information in a way that makes sense. Imagine bookmarking a story about David Cameron and your computer/ browser automatically detects this is a political article and stores it in the relevant ‘Politics’ folder within your bookmarked URL’s. Pretty neat isn’t it, especially for organisational purposes for one. This approach would also allow you to make smart searches, for instance you’d be able to request a list of schools with tuition fees under a nominal price bracket within a specific region. Likewise, a question could be asked about which footballers under the age of 21, of English origin have played in an FA cup final. The most recent form of Twitter analysis comes in the form of a piece of software that converts latitude and longitude information and from this information can place an appropriate tag such as place names. It then looks up these places in BBpedia (similar to Wikipedia and to Freebase just mentioned earlier) This software has been developed by Joshua Shinavier and will make it possible to make specific searches, such as all posts within a seaside resort, a Scottish island or a suburb of a city. Facebook and Twitter will also start using these so called smart searches for more socially based searches. If you want to find a list of films recently viewed by your friends or perhaps a good restaurant that was given a good rating by some of your followers on Twitter, all the information will be available thanks to an extremely thorough tagging system. Although Google intend to start using these methods to their advantage they take a more simplistic approach already using their Gmail. For anyone familiar with Googlemail, you are probably aware of the automated relevant adverts that appear when reading through your email. Keywords from the email text are taken and supposedly helpful and relevant ads will appear. So in a hypothetical, dark humoured scenario, when you get the sad news via email from your neighbour that your cats been run over! Google will advise you on such relevant topics such as cat hair loss or road sweeping services! The futuristic year in which the film Minority Report is set where Tom Cruise is being approached by personalised adverts in the street is no longer a far flung futuristic idea it’s fast becoming reality. Once the fine art of intelligent tagging or using ‘web entities’ has been mastered, the online experience will once again improve and be far more intuitive. Nicholas Carr, writer of “Is Google making us Stupid?” argues our brains are being rewired and it’s harder than ever for us to relax due to information overload. My thinking is we’re adapting to the Internet and especially social media by way of “fluid intelligence” which is the ability to find meaning in confusion and to solve new problems, independent of acquired knowledge. 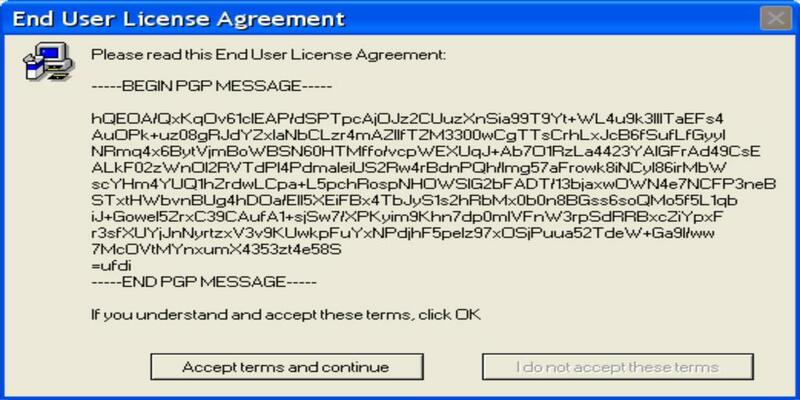 Hardly anybody ever reads the license agreements that permit you to use computer software – and that for all you know, in paragraph 19(b)ii consign yourself to lifelong slavery with Moloch Computing, inc. Only feedback and our readers, we suspect even try. Certainly it seems hard to believe that the people at Apple ever read their blindingly obvious warning that iPod software is not, in fact suitable for controlling nuclear power stations (3 Jan 2009). It is rare though, for major companies to be quite as upfront as Adobe in appearing not to care whether their agreements are read or not. Bob Holmes was recently trying to install their free Reader software that enables users to view PDF files. 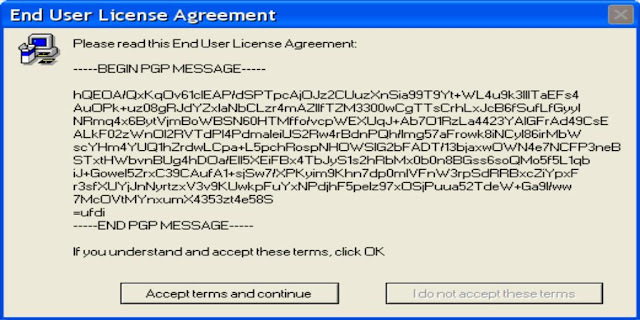 Conscientiously, he tried to obey the request on the download page to read the licence agreement. Clicking on the link took him to www.adobe.com/products/eulas where he could download the agreement in the form of – you’re ahead of us here?